The real work of The Fuller Center is performed at the local level — where funds are raised, volunteers are mobilized, families are selected and nurtured, and houses are built or rehabilitated. One of the founding principles of The Fuller Center is that local leaders know best what their community needs, so the international headquarters is set up to support that local work rather than to dictate it through a top-down bureaucracy. Covenant partners are local organizations that sign an agreement with The Fuller Center to build or renovate houses for families in need in a particular area. The Fuller Center helps local organizations by providing expertise, training, funding, name recognition and providing for information sharing. The Fuller Center firmly believes that bureaucracy and red tape should not interfere with the mission of housing God’s people in need. Covenant partners will find that The Fuller Center is a true grass-roots organization with low overhead, allowing as much funds as possible to go straight to the work in the field. 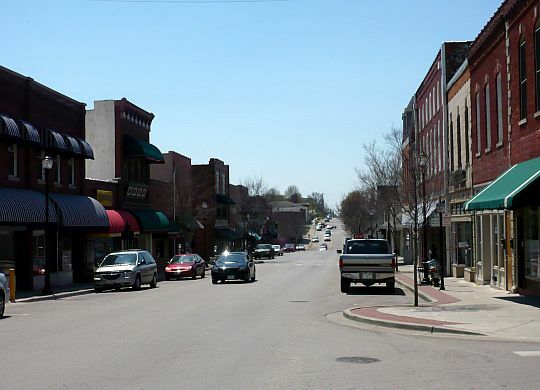 In a new article by the Daily Star-Journal of Warrensburg, Missouri, local leaders talk about how those Fuller Center principles are the reasons behind their transition from their current housing nonprofit to the grassroots Fuller Center for Housing. Click here to read the complete story. Want to know more about founding a Fuller Center covenant partner in your community? Click here for all the details. The Fuller Center for Housing of Greater Kansas City MO welcomes our Warrensburg MO neighbors to the “family.” If there is anything we can do to help you with this transition or your continued work to assist families in your area please contact us.